I am no longer breeding toy poodles. 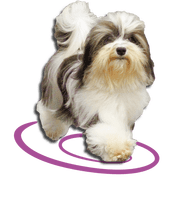 However, some of breeders I know and can recommend often time ask me to list their puppies for them. 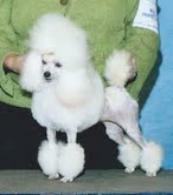 Click here to view available toy poodles by other breeders. Heaven is the sweetest girl ever. She loved to show, has super movement, and well insize. She flew around the ring and finished in only 4 weekends. She is tested PRA clear. She has beautiful thick white coat. She is spoiled and loves to cuddle and sleep in the bed. She is now retired from breeding and is loving her family now. I no longer have any toy poodles myself.